The best new releases focus on lower detection limits, better precision and improved productivity. Agilent Technologies has introduced the 1200 Infinity Series high dynamic range diode array detector for liquid chromatography. The company says it delivers 30 times wider linear UV-range and up to 30 times higher sensitivity than previous detectors, making it suitable for analysing mixtures that contain widely different concentration levels. Analysing such samples usually requires additional sample preparation (dilution/concentration) and a second injection, sometimes with recalibration. The new detector eliminates these time-consuming efforts, acquiring all sample information in a single run - and significantly increasing productivity by reducing turnaround time. The Agilent solution extends the upper linearity level from two to typically six absorbance units. This allows injection of three times more sample while also reducing detector noise by 10 times. The result is up to 30 times higher sensitivity for simultaneous analysis and quantification of main compounds and impurities. "We are excited by the new 1200 Infinity Series HDR-DAD as it simplifies the quantitation across many LC applications," said Christian Gotenfels, Agilent product manager. "For example in pharmaceutical analysis, the Agilent solution facilitates quantitation of active pharmaceutical ingredients and respective impurities of fixed-dose combinations in a single run." A second new introduction from Agilent is the 1260 Infinity Hybrid SFC/UHPLC system. It is the first commercial instrument that performs both supercritical fluid chromatography and ultra high-performance liquid chromatography (Fig. 1). This enables intelligent screening for the most suitable method of separation and delivers comprehensive information for complex samples and impurity analysis. 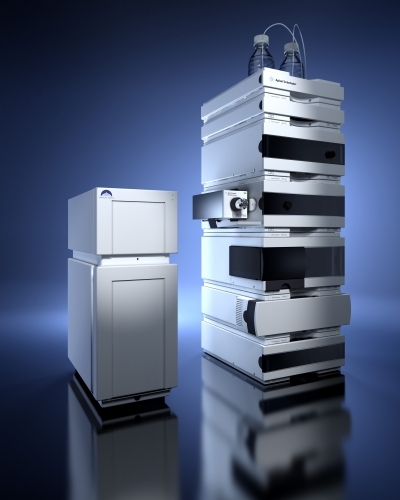 "Now chromatographers can switch between UHPLC and SFC on the same system without making a single hardware or method change," said Stefan Schuette, Agilent senior marketing director, liquid chromatography business. "Users can have great confidence in the results from using these two orthogonal techniques." The 1260 Infinity Hybrid SFC/UHPLC system delivers LC-like sensitivity over the UHPLC power range. It is the only SFC system providing 600bar capability. The hybrid system is economical because customers purchase only one instrument to perform both types of separations. It also conserves valuable bench space. In SFC mode, the instrument uses standard-grade gaseous carbon dioxide for considerable cost savings over SFC-grade carbon dioxide. This is in addition to the reduced solvent consumption and waste generation of SFC compared to LC. Meanwhile, designed as the gas chromatographers' GC-MS system, Bruker's new SCION TQ GC-MS/MS promotes ease of use and increased workflow in busy analytical laboratories. The advantages offered by hardware innovations - reducing the instrument footprint by half but at the same time improving performance over traditional gas chromatography systems - are supplemented by the utility and ease of use of the novel SCION compound based scanning (CBS) software. Bruker's software for the SCION TQ includes a number of important tools and features to make method set up, data analysis and comparisons of similar spectra much easier. 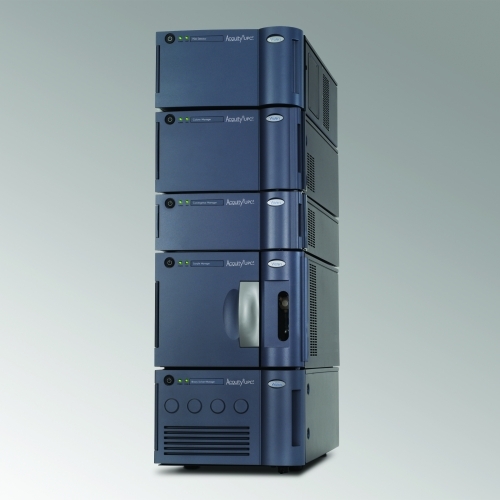 With gas chromatographers in mind, the SCION software package includes: a CBS multiple reaction monitoring (MRM) compound library for easy set up of methods; additional spectral libraries such as NIST, Wiley, Pfleger/Maure/Weber (PMW); plug in to multiple user-customisable spectral libraries with automatic search functions; and Bruker's mass spectrometry (MS) workstation software. Jim Koers, Bruker CAM software manager, said: "To put this into context, manual TQ method development for a 200 compound method would require around 12,000 keystrokes and take several days. With CBS, we can achieve a fully optimised method in a matter of hours, and with less than 200 keystrokes." The SCION TQ system comes complete with the Bruker compound library, which details 2500 MRM transitions. Results are presented in a standard pro-forma accepted across the industry and may be cross referenced against known spectral libraries to aid interpretation and final delivery. Pittcon once again played host to a number of exciting new releases. Waters, for example, says that it ushered in a new category of separation science with the introduction of the Waters ACQUITY UPC2 System which expands the boundaries of reversed phase liquid chromatography (LC) and of gas chromatography (GC) separations and offers a replacement option for normal phase chromatography applications (Fig.2). Employing the principle of ultraperformance convergence chromatography (UPC2), Waters ACQUITY UPC2 System is a novel analytical system that gives laboratories an indispensable tool for tackling tough-to-analyse compounds including hydrophobic and chiral compounds, lipids, thermally-labile samples and polymers. "ACQUITY UPC2 took on every challenge we threw at it. At one point, we ran a very challenging 18-compound mixture, including amines, vitamin isomers, steroids, and antibacterial agents - all in one mixture," said Harbaksh Sidhu, UPC2 programme director, Waters Division. "The results were astounding. We saw repeatability, narrow, consistent peak widths, all in a gradient mode of operation with extremely low baseline noise. The low system volume along with small particle size column is the result of a holistic design that unlocks the benefits of using compressed carbon dioxide that have never been realised before. As someone who's been working with this technology for more than 18 years, I had never witnessed this level of performance before." Compressed carbon dioxide, the primary mobile phase for UPC2, offers numerous major advantages over liquid mobile phases or carrier gases that are used with LC and GC. For one, carbon dioxide alone, or combined with a co-solvent, is a low viscosity mobile phase that achieves higher diffusion rates and enhanced mass transfer than liquids used in HPLC. For another, when compared to GC, carbon dioxide alone is a mobile phase that allows separations to occur at a much lower temperature. Scientists can routinely separate compounds that are less amendable to analysis by LC and GC including molecules having a wide range of polarities. Along with industry leading sub two-micron particle technology column chemistries, Waters ACQUITY UPC2 System gives scientists the ability to precisely vary mobile phase strength, pressure, and temperature. With this ability to fine-tune the resolving power and selectivity of the system, scientists can exercise better control over the retention of analytes for separating, detecting and quantifying structural analogues, isomers, and enantiomeric and diasteriomeric mixtures - all compounds that are often a challenge to separate by any other means. The company says that a key benefit of the system is the use of inexpensive and non-toxic compressed carbon dioxide as a primary mobile phase that can take the place of toxic and volatile organic solvents that are extremely expensive to purchase and dispose. Thermo Fisher Scientific used Pittcon to launch the Thermo Scientific TRACE 1300 Series GC, a compact, versatile gas chromatography system that is designed to increase productivity and lower cost in QA/QC and routine laboratories working on environmental, chemical and food safety applications. It features novel user-exchangeable instant connect injectors and detectors and an intuitive interface in instruments that deliver reliable results and maximum sensitivity. The TRACE 1300 Series GC comes in two models, the TRACE 1300 GC and TRACE 1310 GC. The TRACE 1300 GC is ideal for budget-conscious labs carrying out routine analysis; its simplified interface requires limited user interaction, so it can run 24/7 with limited staff oversight. The TRACE 1310 GC, ideal for QA/QC labs or labs focused on method development, features an icon-based touch screen interface for more precise user control.